We are a welcoming, diverse, self-governing congregation of approximately 300 members. An elected Board of Trustees manages the affairs of our congregation, and committees implement programs and projects. Paid staff handle the day-to-day work required to maintain our buildings, prepare for Sunday activities, coordinate events, and interact with the public. 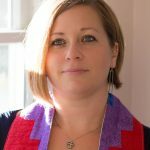 First Unitarian Society of Ithaca’s minister is Rev. Margaret Weis. Along with our minister, the staff includes a lifespan religious education director, music director, church administrator, and part-time sexton. Elected by the congregation, the Board of Trustees sets policy, conducts long-range planning, and oversees the finances and general well-being of the church. Meetings are open to members of the congregation and held on the second Tuesday of the month from 6:00-8:00 p.m. in the Parlor. The church follows a set of bylaws, which are updated through a rigorous process when necessary. Committees are at the center of church life, providing on-the-ground work in a variety of areas, including buildings and grounds, membership, stewardship, social justice, and religious education.